2016 is shaping up to be a breakthrough year for new gadgetry. Even with iPhone sales dropping for the first time in years and some concerns about the tech industry saturation (smartphones in particular), there are encouraging signs that indicate the best is yet to come. Smartwatch sales are still looking good, and VR headsets are projected to earn close to 1 billion dollars in sales for 2016. Nothing to scoff at, indeed. Tech is looking to impress this year with some innovative gadgets on all fronts. Smartphones have long been a yearly contest of one-upmanship, and Samsung seems to be maintaining its status as one of the biggest dogs in the yard here. You’ll recall we had good things to say about the Galaxy S6 Edge. The S7 Edge is even better designed than its predecessor. It’s really come into its own, sporting a gorgeous 5.5” screen, durable Gorilla Glass, and a speedy Qualcomm Snapdragon 820 processor with 4GB of RAM. The 32GB internal storage and a microSD slot capable of 200GB external storage mean that you’re likely to never run out of space on this device. Top it off with a beefy 3600 mAh battery, solid camera features, and water resistance, and you have a contender for smartphone of the year right here. Samsung isn’t the only device maker on the market, though. Google is making a strong push with their Nexus 6P, and the iPhone 6S Plus is worth a mention (if for nothing else than its vastly improved battery). VR has burst onto the scene in a big way. The Oculus Rift and HTC Vive are both offering immersive VR experiences for users, with the Vive holding a slight edge at the moment due to high-end specs, intuitive controls, and superior two camera tracking system. At least the Oculus Rift has a slightly lighter headset? Honorable mention would go to the PlayStation VR, but it’s not officially out until October. Though underpowered compared to its competitors, the PlayStation VR is hoping to win points for its reduced price and plug-n-play ease of use. A starter VR for those looking to dip their toes in the water, so to speak. 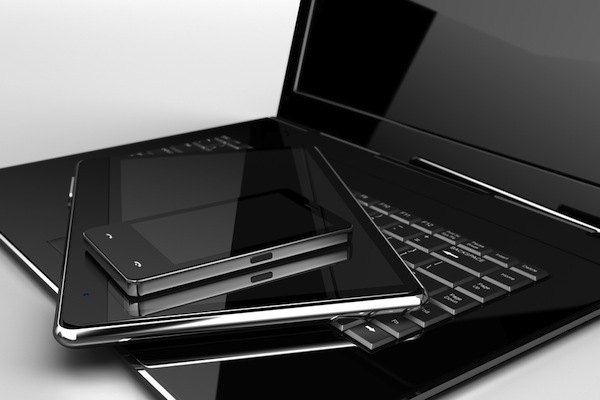 Laptops had a stellar year in 2015, and it seems the upward trends will be continuing for 2016. Once again, Samsung is a top performer here with the Galaxy TabPro S, a convertible laptop with advantages including a jaw-droppingly pretty screen and incredibly light weight. A lack of other features, along with only one USB port, mean this admittedly fine piece of hardware gets edged out by other portables such as Microsoft’s Surface 4 Pro and the Dell XPS13. When the only real complaint that can be levied against a laptop is the slightly smaller than average keyboard, you know they’re doing something right. Even with intense meddling from the FAA, drones are still a hot ticket for 2016. With sales expected to skyrocket, there are a lot of manufacturers pumping them out into the market. Getting the drone that’s right for you is largely dependent on personal preferences, but DJI has been making big strides with their Pahntom 4. Billed as a “flying camera”, it’s got a host of features that appeal to drone operators of all skill levels. Visual tracking, extended flight time, and a top notch camera make it a top hit for drone enthusiasts. Naturally, personal audio is also as big as ever, and new bluetooth and outdoor speakers are stunning us in different ways. For those looking for just a bit of indoor background music, the Beats Pill+ and Sony SRS-X55 offer excellent sound quality for their price range. For superior value, booming sound, and sturdy designs, TurcomSpeakers feature some rather impressive gear, particularly their AcoustoShock and TS-453 models.